Meninas ficam aqui quatro dicas de como podem usar lenços no cabelo para o Verão. Espero que gostem. Love, Vanessa. 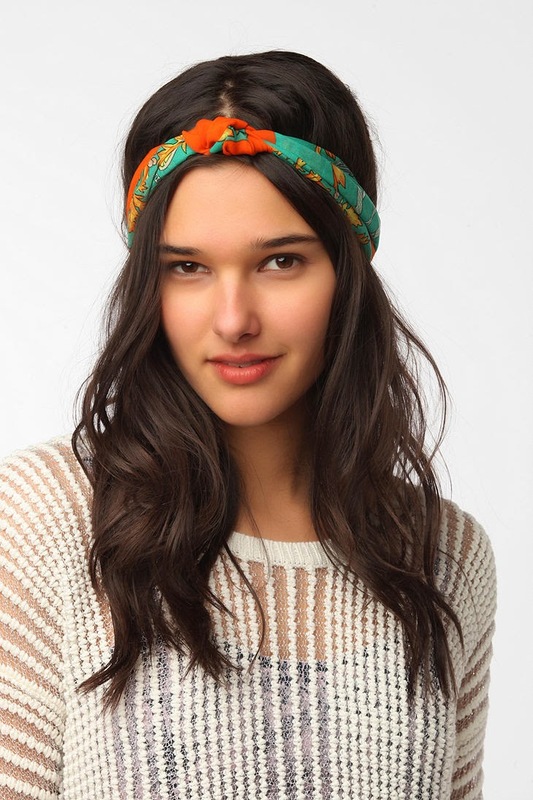 Girls here are four tips on how you can wear scarves in hair for Summer. Hope you like it. 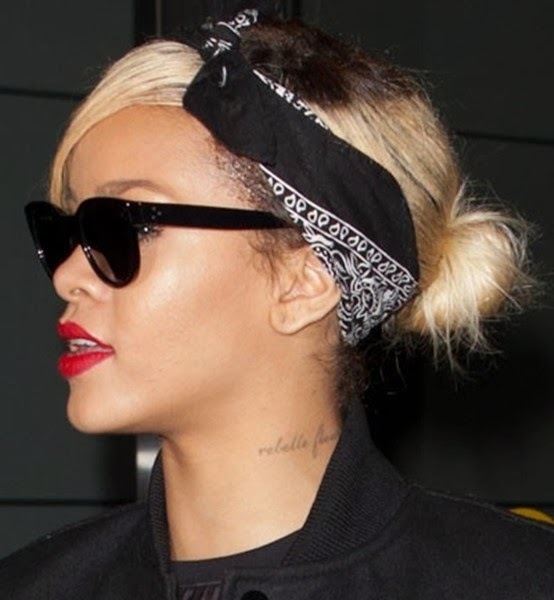 Para fazer este tipo de penteado o ideal é aliar o lenço a um coque alto. O segredo está em torcer o comprimento de um rabo de cavalo e prendê-lo no topo da cabeça. Quem tiver franja pode desfiar algumas madeixas e deixá-las cair pela face ou prendê-las também com o lenço e dar algum volume com spray. Posicionem o lenço entre a franja e o coque e façam um maxi laço na parte de trás ou como na imagem, no topo da cabeça. Podem usar ganchos para ficar o lenço. To do this kind of hairstyle the ideal is ally scarf to a high bun. The secret is to twist the length of a ponytail and secure it at the top of the head. Who has bangs can reel off some locks and let them fall over the face or hold them with the scarf and give some volume with spray. To position the scarf put it between the bang and the bun and make a maxi noose at the back or as in the image at the top of the head. You can use hooks to fix the scarf. Este estilo tanto dá para looks de praia com no dia-a-dia. Podem borrifar o cabelo com uma solução salina para criar um ondulado natural tipo praia. Posicionem o lenço na coroa da cabeça e façam um nó evidente acima da testa. This style is good for beach looks or for a daily look. You can spray the hair with a saline solution to create a natural wavy hair as when you come from the beach. Position a scarf in the crown of the head and make a noticeable knot above the forehead. Para este penteado cubram toda a cabeça com um lenço fino e grande, deixando apenas a franja lateral à mostra. Enrolem as madeixas do comprimento com o resto do tecido e prendam com ganchos. Não é preciso ficar certinho, aliás, quanto mais "desarrumado" melhor. Apliquem spray para fixar. For this hairstyle cover the entire head with a thin, large scarf, leaving only the lateral fringe showing. Curl locks of the length to the rest of the scarf and arrest with hooks. It don't need to be really certain, in fact, the more "messy" better. Apply spray to fix. Este estilo valoriza cabelos ondulados e encaracolados. Quem tem cabelo liso convém aplicar espuma nos cabelos molhados e secar com o secador, amassando bem o cabelo, para criar algum volume. Coloquem o lenço e façam um laço atrás. Prendam o lenço no meio com um elástico de silicone transparente para fazer o drapeado na testa. This style enhances wavy and curly hair. Who have straight hair apply foam in wet hair and dry with the dryer, scrunching hair as well, to create some volume. Put the scarf and make a noose behind. 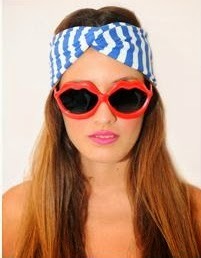 Arrest the scarf in half with an transparent silicone elastic to make the draped at forehead.